My wood signs are handmade and hand painted by me (The Cranky Queen) in Waynesboro, GA. 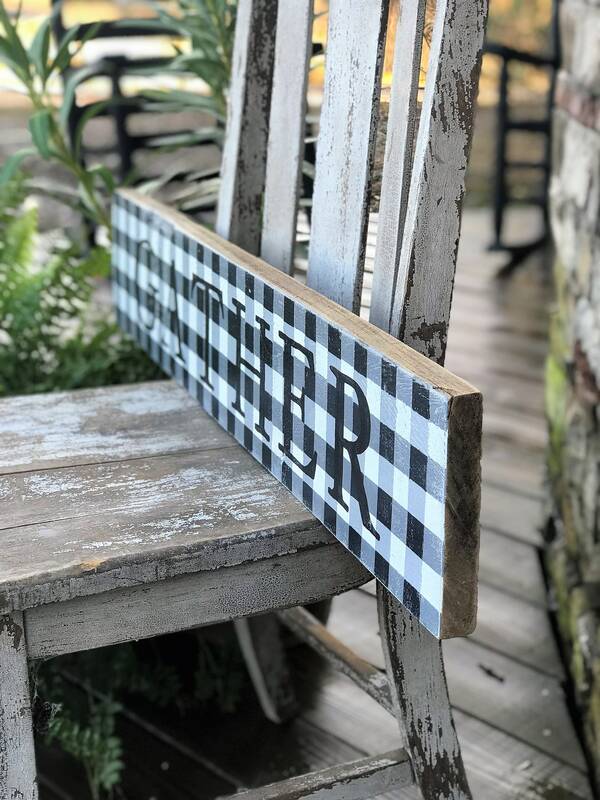 This sign is authentic reclaimed barn wood from Burke Co., GA and is completely hand painted with no vinyl used. 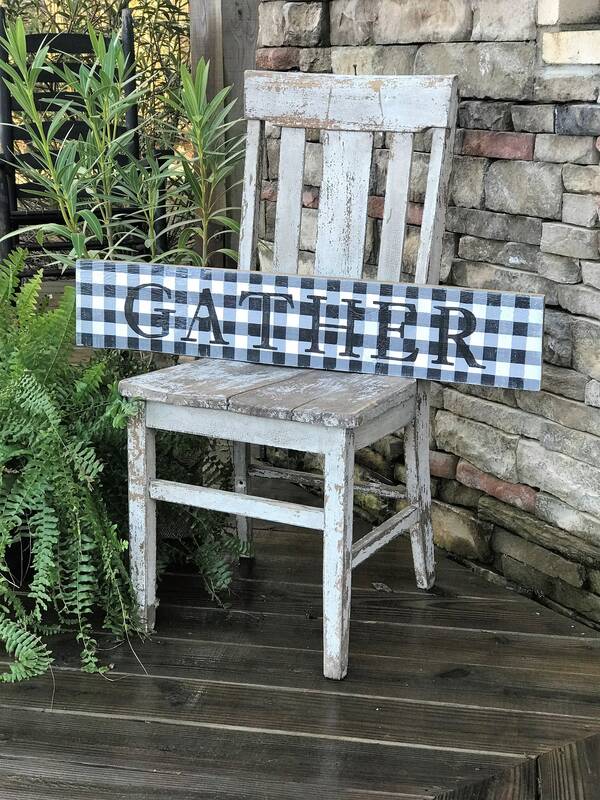 It is hand-painted black and white buffalo plaid with "Gather" in black lettering. When I am lucky enough to come across beautifully aged barn wood, I choose to keep painting to a minimum and typically only paint the face of the sign. Due to variations in wood, this sign will have natural imperfections which add to the rustic feel of each piece. These signs are designed to have a rustic modern farmhouse look and feel, and slight imperfections add to this look.